by M. Govindan, ISBN 978-1-987972-01-6, 192 pages 6 x 9 inches, softcover June 2016. The first authoritative biography of Babaji, the immortal master made famous by Yogananda’s Autobiography of a Yogi, an all-time best seller. Babaji lives today near Badrinath, his body has not aged since the age of sixteen, when centuries ago he attained the supreme state of enlightenment and divine transformation. This followed his initiation into the scientific art of Kriya Yoga by two deathless masters, the Siddhas Agastyar and Boganathar, who belonged to the “18 Siddha Tradition”, famous among southern India. This rare account, by a longtime disciple, reveals their little known life stories, ancient culture and present mission, as well as how their Kriya Yoga can be used to bring about the integration of the material and spiritual dimensions of life. Clear explanations of the psychophysiological effects of Kriya Yoga and guidelines for its practice are given. It includes verses from the Siddhas’ writings with commentary. A book, which will inspire you. Available in English, Sinhala, Tamil or Hindi. These 18 asanas were selected by Babaji from among the thousands which exist to form an efficient system for rejuvenating the physical body and preparing it for the more subtle phases of his Kriya Yoga. The immortal Himalayan master is living proof of their effectiveness. Each asana has several stages, making them suitable for the beginner and experienced student. The asanas are also arranged in pairs, or counterposes, facilitating the relaxation stage following each asana. This guide is designed as a handbook, where in each stage in each asana is individually illustrated, and explained with easy to follow instructions. 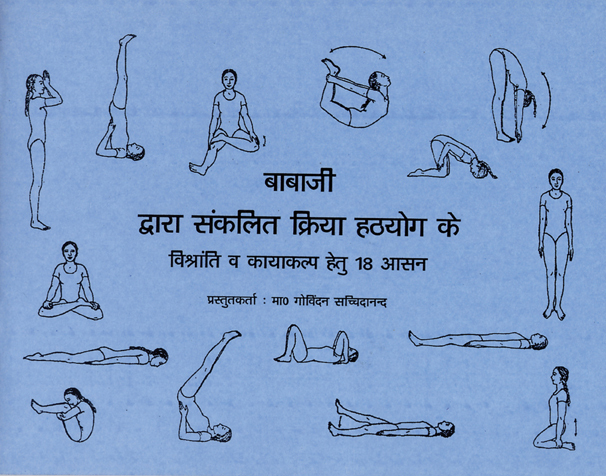 The numerous benefits of each asana in the healing and prevention of various functional disorders are also indicated. An introductory chapter explains the principles to follow in their practice. (32 Pages) Available in English, Sinhala, Tamil or Hindi. “It is up to us all to choose how we would like our future to be. In making that choice, it helps to know, understand and accept ourselves, our purpose, our passions, our talents, and how we want these to manifest. A book that I highly recommend for anyone who wants to step into their Self/ Highest Potential is "Kriya Yoga: Insights Along The Path”, by Marshall Govindan and Jan Ahlund. Why Yoga? Why Kriya Yoga? Why be / know WHO I AM? Once you have read it, you will know how valuable it is as an aid towards remembering Who I AM, and letting go of what I am not!" by Marina Kapur, management consultant in the U.K. This book provides a comparison between the original and most authentic teachings of Jesus, as exemplified in his parables and paradoxical sayings, and as determined by modern, critical historical research, with the remarkably similar teachings of the Yoga Siddhas. Who was Jesus? One of the most influential human beings of all times? The founder of Christianity? A messiah or savior sent by God to redeem humanity of its sins? What were His teachings? Is our knowledge of Jesus limited to what is recorded in the Bible? What has modern historical research to say about what Jesus did and taught? "What were the original teachings of Jesus, before the Christian religion became organized?" Patanjali’s Yoga Sutras are universally considered to be among the two or three most important texts in the field of yoga. Patanjali refers to his yoga as “Kriya Yoga”: the “yoga of action with awareness”. Until now, commentators have treated it as a philosophical reference, and have largely ignored its implications for yogic practice. They have also ignored the fact that it is also an esoteric work, and that only initiates, with sufficient prior experience, can grasp its deeper meaning. This new translation and commentary provides a practical guide to Self-realization or enlightenment. It clearly explains how to apply Patanjali’s profound philosophical teachings in everyday life, in any situation with a unique “practice” section after each verse’s commentary. When one practices the techniques of Kriya Yoga, it is like driving a powerful automobile. But without a roadmap, most students are “stuck in traffic” or at “dead ends.” Now for the first time, there is a clear roadmap to guide the student to remarkable destinations. From the foreword by Georg Feuerstein, Ph.D., author of The Sutras of Patanjali and the Encyclopedia of Yoga. ISBN 978-1-895383-64-5, 108 pages, 8.5 x 11 inches, softcover with photographs and diagrams. ISBN 978-1-895383-65-2. 234 pages, 7 by 9.5 inches, with over 200 black and white photographs. This great book offers lessons in using simple tools to live a long, healthy and happy life. It is also written for those who wish to develop their understanding of Yoga and Meditation. Yoga and meditation can bring relief and promote healing from the effects of stress and bad habits on the physical body, the emotions and the mind. "This is a rare, spiritual adventure story by one dedicated monk who walked on foot over 300 miles through the mountains of India, Nepal and Tibet to Mount Kailash and Lake Manasarovar, the abode of the gods on earth". Boganathar was the Siddha guru of Kriya Babaji Nagaraj, the famed Himalayan master, of whom much has been written. Boganathar lived an extremely long life through the use of alchemical rejuvenation formulae and special breathing techniques. He traveled all over the world, chronicled the lives of Siddhas much older than himself, and provided his disciples an illumined path to Self-realization and integral transformation of human nature into divinity. His astounding life provides a shining example of our human potential. The present work provides a biography of Boganathar, as we can glean it from his writings alone, as well as introductory chapters on the Siddha tradition and Kundalini Yoga. The present work also provides a translation and commentary of about seventy-five selected poems, which serious students of all traditions of Kundalini Yoga and Tantra will find illuminating. By meditating upon the verses, the reader will be able to draw much inspiration. The present work provides a word-by-word translation, with alternative meanings, as well as a literal translation, and finally an interpretative translation, to balance the need for precision and understanding and to facilitate a deeper meditative approach to the various layers of meaning of each verse. Boganathar was the Siddha guru of Kriya Babaji Nagaraj, the famed Himalayan master. This volume 2 takes us further into the little known world of the Siddhas, adepts of Yoga, who for millennia, have explored the furthest reaches of human potentiality and spiritual development. Boganathar was not only one of the greatest adepts of Yoga of all time, but also a great scientist. For the first time ever, the writings of Boganathar, the greatest scientist of the Siddha tradition, have been translated into English, and a useful commentary on these profound and difficult texts has been rendered. The present volume contains poems that all lovers of Kundalini-Yoga and Tantra will find inspiring. This collection contains selected verses from each of the 18 Siddhas, in the original Tamil, with transliteration, English translation and commentary. The Yoga of the Eighteen Siddhas: An Anthology contains the revolutionary statements of those great men and women who have reached the furthest heights of human potential. 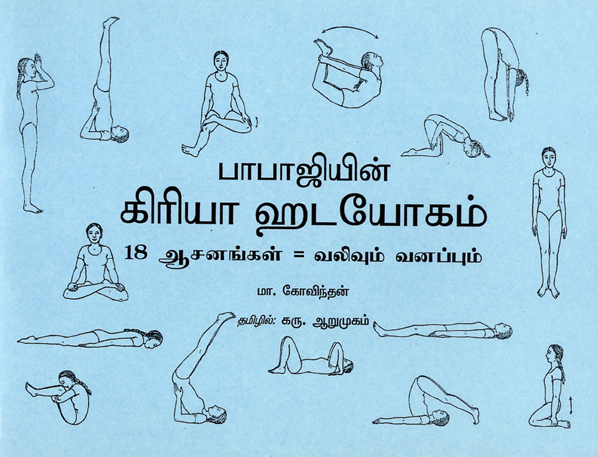 The “Eighteen Yoga Siddhas” is a tradition referred to in the ancient Tamil language literature. Its illustrious members traveled all over the world, had extremely long lives and performed what most of us would consider being miracles. They did not like to be autobiographical, preferring to identify themselves with that deathless jivatma, being-consciousness-bliss. Consequently, they consciously changed bodies as easily as we change clothes, when necessary, laughing at the limitations of ordinary humans. They were not only mystics in the truest sense, but revolutionaries against human nature, and they envisioned and embodied Divinity, as a result of tremendous efforts of self-mastery and self-surrender to their God-head.They left behind their teachings in the form of poems, written on palm leaves, or edus. These works have been badly neglected by scholars to date because of the difficulty in deciphering them. The Siddhas wrote in what has been referred to as a “twilight language,” to obscure the meaning from all but the most sincere students, and prompting the reader to seek the deepest meaning within themselves. They provide a unique source of understanding of both the means and results of Kundalini-Yoga, a great esoteric art and science. New Edition with a more accurate literal translation, with verse by verse commentary, in a 5 volume hardbound set. 3,770 pages. 2010. Each verse includes the original Tamil language script, its transliteration in Roman characters, its English translation and a commentary elucidating the meaning of each verse, by six eminent Tamil scholars, under the direction of Dr. T.N. Ganapathy. The last volume includes enlightened discourses from two philosophical schools of Saiva Siddhanta, a glossary, a select bibliography and index. ISBN 978-1-895383-61-4. The Tirumandiram, by Siddha Tirumular is a sacred, monumental work of philosophical and spiritual wisdom rendered in verse form. Encyclopedic in its vast scope, and written nearly 2,000 years ago., it is one of India’s greatest texts, a spiritual treasure-trove, a Sastra containing astonishing insight. It is a seminal work and is the first treatise in Tamil that deals with different aspects of Yoga, Tantra and Saiva Siddhantha. and index by Dr Ramesh Babus. Dr. T.N. Ganapathy, Marshall. Govindan, Jan Ahlund and Chris Brod have served as its editors, adding commentary from their yogic experiences. “The poems of Tirumular abound in technical terms conveying mystical experience. The symbolic, twilight language of the Siddhas has the advantage of precision, concentration, secrecy, mystery, and esoteric significance in that the symbols, at the hands of the Siddhas, become a form of artistic expression of the inexpressible. The use of the symbolic language is not merely a protection against profaning the sacred by the ignorant, but also suggests that language, however enriched, is incapable of expressing the highest experience of the spirit. Indeed, language is but a broken lamp. 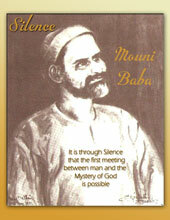 In Sufi terminology, any attempt to convey the inner meaning of one’s spiritual experiences in conventional language is like “sending a kiss to the beloved by a messenger.” In short, the twilight language of the Siddhas is, in essence, profoundly mystical in nature and contains a “numinous aura” and existential revelations for the man who deciphers their message.” The essential difficulty is that to understand the twilight language requires a total hermeneutic of reading, an awareness, in fact, of the total religious and philosophical structures that infuse it. It also requires one to enter deep states of meditation wherein the verse serves as a key that reveals a higher meaning to the initiate.” (from “The Yoga of Boganathar,” volume 1, by Dr. T.N. Ganapathy, page 12) To enable the reader to fulfill this requirement has indeed been the objective of this new translation and commentary. In addition the work contains two enlightened discourses in the final volume, by the late Swami Subramaniam of Hawaii, and T.N. Arunachalam, from the two sides of the debate within Saiva Siddhanta: Tirumular’s monistic theism versus Meykandar’s pluralistic realism.. The translation and commentary has sought to avoid bias towards either of these perspectives, but rather to elucidate the work itself, making it useful to everyone regardless of their background. 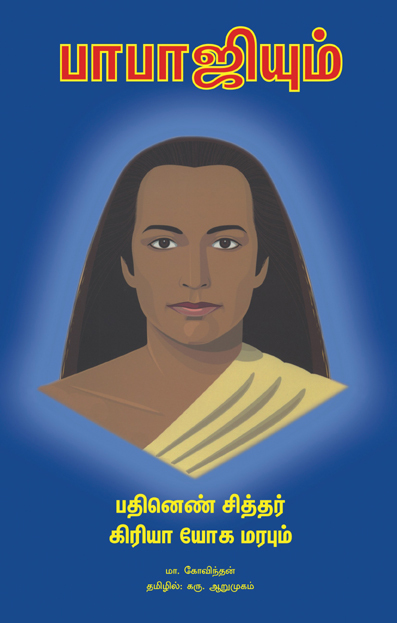 Avvai is considered to be one of the most influential sages among the Tamil speaking people of south India. Her poems and literary works, dating from the first millennium of the modern era are recited by millions of Tamil speaking school children in south Asia to this day. The values and wisdom which her poems convey however, has a source. It is this source which the present volume, The Yoga of Siddha Avvai, sheds much new light upon with the inclusion of her text of Vinayakar Akaval. The author takes us on a literary, historical and spiritual tour of ancient Indian culture, and in so doing, helps us to understand her origins and greatness. Like her illustrious forebearer, the Siddha Thiruvallavar, whose influence on Tamil culture and values, through his classic Tirukkural, is universally acknowledged; Avvai was also a Siddha Yogi. While Thiruvallavar was a disciple of Agastyar, and brother disciple of Babaji Nagaraj, the originator of Kriya Yoga, Avvai claims that her Guru was the sound of Aum, the Pranava itself, personified in the form of Ganesha, who taught her Kundalini-Yoga. Her poetry invokes the presence of the Guru, and then ignites within the reader the flame of spiritual consciousness. It also points to the esoteric practice of Kundalini-Yoga as the path that leads to enlightenment and God realization. Her’s is a wonderful example of arrupadai, the Siddha’s ideal of showing the path to others. If the purpose of human knowledge is to alleviate human suffering, then that knowledge or wisdom which eliminates suffering completely is the most valuable. Like all of the Siddhas, she shared her wisdom with this purpose. Their teachings are universal, non-sectarian, and very much needed in today’s suffering world. Students of Kriya Yoga, Kundalini-Yoga, Jnana, and Tantra as well as devotees of Ganesha (Vinayakar) and students of Tamil literature and culture will all find much insight and greater understanding of their path as a result of studying this volume. Readers familiar with Avvai’s moral sayings may be surprised to learn of the origins of her wisdom, and be inspired themselves to apply themselves to Yogic sadhana. 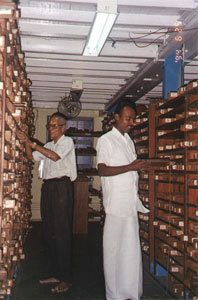 Translation and Commentary by Dr. Geetha Anand Ph D. and Dr. T.N. Ganapathy Ph D.
“Who am I? Why am I here? How did I get here?” These are some of the questions that have been plaguing mankind since time immemorial. Various attempts to answer these questions have led to the evolution of the religions and philosophies of the world. The Tamil Siddhas or mystical saints from South India have answered these questions in the form of poems in vernacular that are popularly called Siddar Pādalgal or Songs of the Siddhas. These songs are famous for their non-conforming and revolutionary ideas besides their bluntness and forthright directness. One of the Tamil Siddhas, Sivavakkiyar is a well-known “pious rebel” who composed Truth Speaks (Civavākkiyam), a collection of around 530 verses on topics ranging from kundalini yoga to social issues. 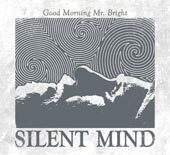 The forceful clarity and absolute sincerity of these songs jolt people out of their intellectual rut and conventional thinking. These songs criticize mindless worship rituals, ceremonies, pilgrimages and recitation of scriptures besides condemning social injustices such as discrimination based on caste and creed. They explain the ultimate goal of life and teach us how to achieve it. 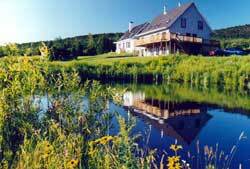 They also give practical instructions on kundalini yoga, mantra japa, the cakras and vāsi yoga. The songs explain the nature of the body, the soul, how a soul adorns the body and how the mantra namacivaya correlates with everything in the manifested universe. These songs show us that the philosophy of the Tamil Siddhas is a Philosophy of the Spirit which is not confined to any notion or nation, religion or community. It is for the betterment of the entire human race. We now present to you a complete translation of Civavākkiyam along with expert commentary on each of the verses. We have posted a sampler of select verses from Civavākkiyam to give you a feel for the verses and the topics. Click here to view this sample. In this one hour complete dvd course you will learn a progressive series of safe and easy-to-do exercises which will massage the abdominal organs and in particular promote the development of the insulin producing cells of the pancreas. Developed by the Board certified urologist Dr. Emilia Ripoll-Bunn, and veteran Yoga Therapist Dawn Mahowald for people with diabetes, this video course is based upon extensive research in both sports medicine and Indian clinical faculties. The journal of the American Diabetes Association’s medical advisory board recommends regular, gentle exercise and has stated that this type of exercise reduces insulin requirements. Two advanced sections on this video are especially recommended for diabetic children to reduce the side effects of diabetes.